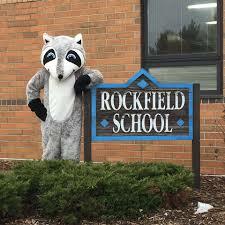 The Rockfield Elementary Marathon, hosted by PTA, gives each student a fun and easy way to complete a half (13.1 miles) or a full marathon—26.2 miles!! We encourage students to run or walk laps in the school field (inside during bad weather) during their lunch recess. The marathon promotes physical fitness, while recognizing students’ hard work, dedication and accomplishments. Students will have two weeks to complete the laps (after having two weeks last fall). Laps are recorded daily by parent volunteers. Students who run 7 laps a day (both last fall and this May) will complete a full marathon and receive a medal at the end of the school year. Students who complete a half marathon (13.1 miles) will also receive a medal. Let’s have some FUN! Please have your child dress appropriately during the dates of the marathon, including sneakers for footwear. We welcome you to help at the Rockfield Elementary School fields, from 11:25am-12:35pm. If weather is rainy or the field is too muddy, the marathon will be inside and volunteers are still needed. Or under the forms section of this site in the drop down select Rockfield marathon volunteers signup.